Pandok Yerevan or translated to English as Tavern Yerevan is the the largest network of Armenian cuisine restaurants located at various places around the capital city, Yerevan. The restaurant serves famous Armenian dishes like Veal Shoulder with Emmer Pilaff, Ghapama (Stuffed Pumpkin), Veal Loin with Arishta and many more. These restaurants also provide traditional music and are able to house large groups of people for family and corporate events. With branches all over the city, Pandok Yerevan's management was looking for a system that could streamline and centralize the restaurant’s workforce management effectively. The system must be able to monitor attendance of employees, reduce absenteeism and buddy-punching, and most importantly, the data must be accessible by the administration for payroll purposes. Megahertz, FingerTec reseller in Armenia suggested Pandok Yerevan to use the latest of FingerTec biometrics time attendance product, TA500 to manage their employees. Fingerprint solution has been proven to be an efficient system in restaurant industry because employees do not have to carry any token to work and the verification can be done in split second. 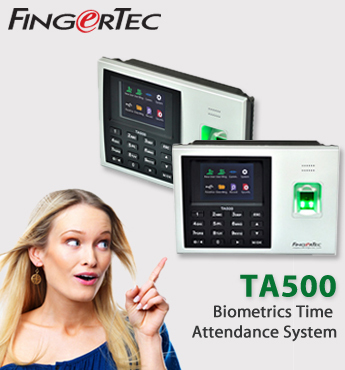 By using fingerprint solution like FingerTec TA500, all attendance data is genuine and it reduces the tendency to cheat time amongst employees. With this solution, no more manual input of attendance and errors caused by the inaccurate data entry. The restaurant’s administration has just recently changed from TCMS V2 to TCMS V3 for faster and more comprehensive features provided by the latest solution. “Connectivity around the city is sometimes compromised and the client shifted to TCMS V3 for the system improvement,” said Mr Serge Grigoryan, Director of Megahertz. Megahertz or MHZ is a specialized computer center and the Company carries FingerTec as part of its IT/biometrics solution for the Armenian market.